Oil and gas service companies face some of the stiffest competition possible. No matter who you are, there is another company claiming they can do it just as well or do it for less. You have to be able to show that you provide the value. WellDatabase gives you the tools to show your customers the value you bring. A picture is worth a thousand words. You can tell your customers how much experience you have in a basin or you can show them. 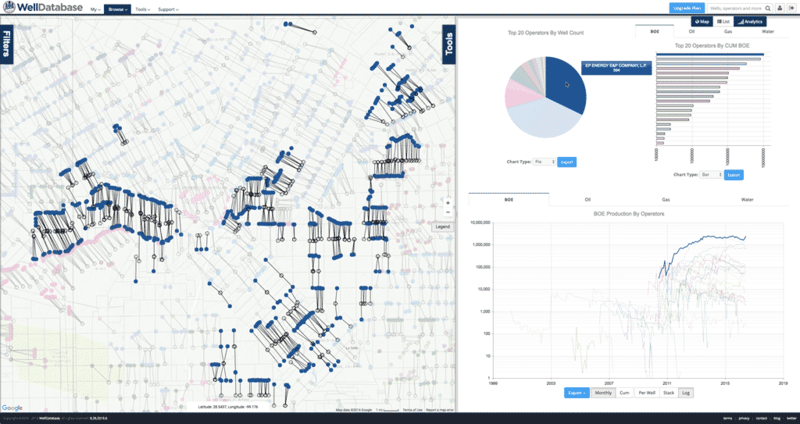 WellDatabase allows you “tag” your wells and from there the sky is the limit. 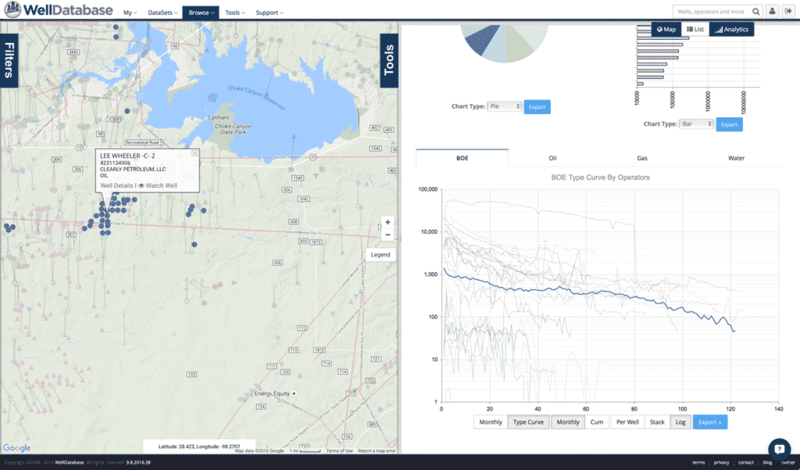 You can view your wells on our map, analyze work you’ve done, and show that to your potential customers. Showing your expertise is great. What if your services aren’t beating your competitors? WellDatabase can help you pinpoint where you are winning and where you are not. From there you can take the data and use it in your research and development. By the way, the data you export is yours to keep. Most data providers do not allow you to use their data in your products without explicit permission. If you don’t think that applies to you, make sure you check your contract. WellDatabase not only allows you to make use of the data you get from us, we encourage it. Most companies expect a digital delivery for the products they buy. Same goes for the reports on the services you provide. Building an online delivery system can be time consuming and expensive. WellDatabase projects give you a platform you can use to deliver your products. Create the project, upload the data, add your customer and you’re done.